Mike and his wife, Patty, have been owners at Harbor Island since 1992 and residents since 1997. 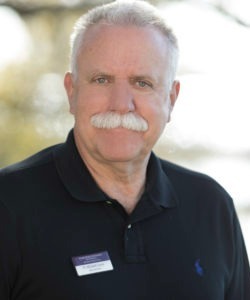 Mike has been very active at Harbor Island and served on the Harbor Island Owners Association for ten years with six of those being President. He is very proud of the time he served on the HIOA Board and the accomplishments of purchasing the Beach and Racquet Club and rebuilding the two main bridges during that tenure. Mike is also very active in the Austin Healey Club of America, serving as President of the Lowcountry Chapter in the Beaufort area. He can frequently be seen driving his 1956 Austin Healey 100M around the Beaufort area and to local and regional classic car shows. In the Contract office furniture business for over 35 years, Mike specialized in dealing with the branches of the US Military, primarily the Army and Marine Corps. His firm had been the furniture partner for the renovation of all Marine Corps Recruiting offices worldwide for over 12 years. Mike’s attributes his success in dealing with the Military to always being honest and ethical in his discussions from junior enlisted personnel to Generals. Tell them the facts, do not embellish and treat all with the same respect. That is the same business philosophy he has followed in the Real Estate business for the past 10 years– be honest and ethical in the way you conduct business and treat all clients with respect. Do not embellish the facts and always tell his clients the truth. Mike specializes on Harbor and Fripp Island Properties.